I made this add-on to learn about setting up 3D models inside Orbiter. I got it working and was lot’s of fun to develop. 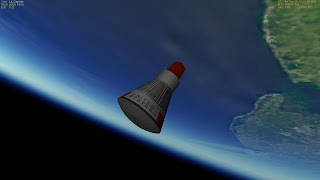 This add-on recreates the Little Joe rocket and associated Mercury boilerplate capsule. The launch pad at Wallops Island is also present. As it is my first work of this kind, involving multistage rocket setup, it’s somewhat rough. I consider myself more of a 3d guy, nevertheless I hope you will enjoy flying it. Currently, the rocket starts on the pad at a 90º vertical angle and not at the real 70º~80º inclination. The guidance file then sets the rocket on the actual heading and inclination. The performance parameters are based on reality but tweaked so that a ~88km apogee is achieved for the Little Joe 2 flight. 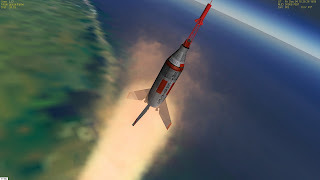 Flight sequence follows real events, with a 40 second burn of the Little Joe rocket, followed by separation of the capsule with escape rocket attached After 2.5 second the escape rocket fires. Separations and capsule parameters are very rough, and the water landing bag is missing. Also, there’s no recovery after splashdown. Feel free to improve on this add-on if you wish. Extract all the files to your Orbiter folder. 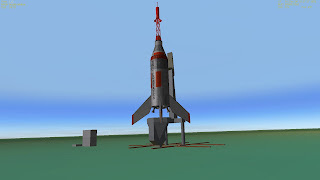 The Earth1962 (required) Wallops base will be changed, with the addition of the Little Joe pad structure. Other than that, no other files are changed. Select the Little Joe situation folder and them open the desired flight (for now just Little Joe 2). 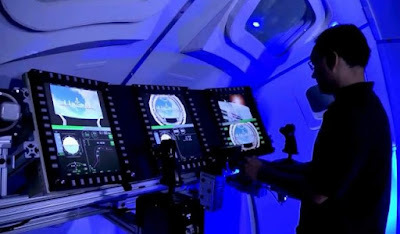 Press J to jettison tower at the end of the launch sequence. Press K for capsule parachute. Free for non commercial use with Orbiter Space Sim. You can use this add-on as a base for your own Orbiter add-ons and improvements, giving proper credit. 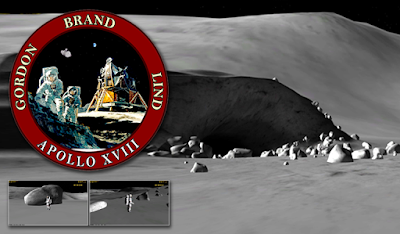 Mercury boilerplate capsule parachute mesh and animation by Libber. The Mercury escape tower mesh is duplicated from Estar's project Mercury.